Living in metro areas such as New York City, and its suburbs like Long Island, dwellers know how cramped life can get in crowded quarters. Manhattanites are forever looking for inventive ways to use every inch of their tiny square footage apartments. Many in the suburbs are downsizing from larger homes to small houses or apartments. College students are moving into a dorm room discovering that they need to be neat, tidy and creative when sharing a small space for everything from sleeping, eating, studying and entertaining. It is important to have a plan of action when moving into a smaller living space. How do you fit everything that you have accumulated and want into this smaller home? Start with a plan; sketch out a few floor plans of how you may fit your furnishings. If you are purchasing new furnishings then buy what is most important first. A good night’s sleep should be considered to be the most important function for your room design to provide. Start off designing your sleeping area and work out from there. Purchase the bed, dresser, sofa, table or desk, and move on as you gather your funds and needs. For those heading out of the family home to live on their own for the first time enjoy shopping for new furnishings. Cash might be tight; great pieces of furniture can be found at secondhand stores and yard sales. These can be fun for you to refinish yourself. Be careful not to purchase upholstered items or rugs at these places unless you know the seller. You do not want to bring bugs into your home. For dishes, glasses, and silverware, you can save money by asking family and friends. Many have extra sets stored away that they are looking to get rid of, and will loan or give them to you. 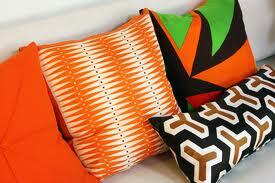 Check out stores such as IKEA, Home Goods for nice furnishings at reduced prices. Remember, you will be working with smaller spaces than you are probably not accustomed to. This is the time to be creative. Loft beds are for adults too. 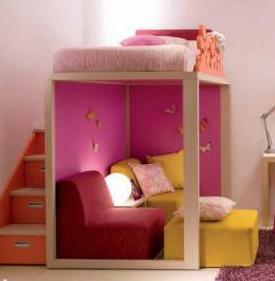 They create a second story to use as your “bedroom”, opening up an area for storage, desk or seating underneath. Murphy beds are a fantastic way to have a comfortable place to sleep and then create a nice space to sit when not in use. 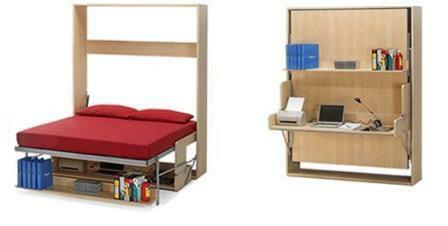 These can be expensive but there are Murphy beds that you can make by yourself if you are handy. Futons create a sofa with a comfortable bed, without that uncomfortable bar found across traditional sofa beds. These can be reasonably purchased. IKEA has some good values. A flip down table attached to a wall with folding chairs create a nice dining area and desk top that can easily be folded up when not in use. Make accessorizing fun and creative. 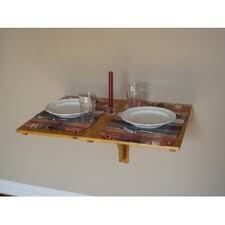 Use scarves as table linen or to wrap a pillow in. If you do not have ceiling fixtures, you can hang a pendant light from a hook and drape a long cord to the ceiling/ wall edge and bring it down the wall to the outlet. A colorful area rug can dress up a dull floor or worn carpeting. Every inch of a small living space can be used for some necessary purpose. Hang a broom and mop from wall-hooks snuck next to the refrigerator. Shelving can be installed around the top of the walls, above windows and doors for towels, or out-of-season clothes, and extra bedding. 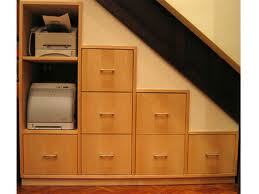 Use the often underused and forgotten niches under the staircase for storage. Whether in a smaller house, an apartment or dorm this is where you will be living, working, and entertaining. Make sure that it is comfortable and inviting. Plan on keeping your abode organized and tidy, this will help you to feel calmer and less stressed. You will be able to relax more when you know where everything is. If someone stops by you will not be stressed out about suddenly having to clean up for entertaining company. Keep your mind open to new experiences in life and never be afraid to dance! Great info! I love that first pic of the pink loft bed. Where can I find that?